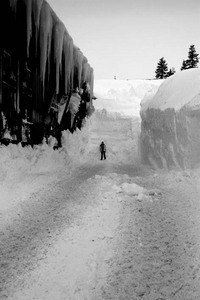 Schneit es monentan in Mammoth Mountain ?Vielen Dank! 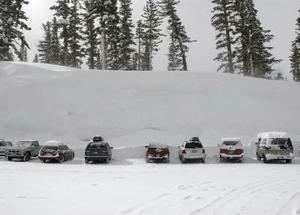 Mammoth Mountain opens early and some years doesn't close until the fourth of July. 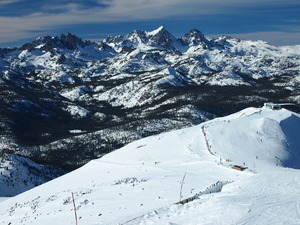 Mammoth Mountain has added snow making to the top of its highest peak (more than 11,000 feet) and down the Cornice Run. 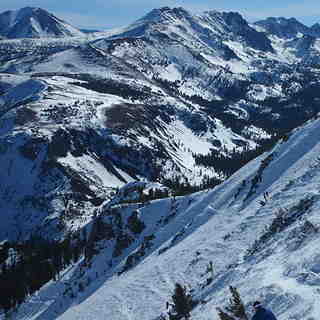 Mammoth Mountain is exactly what its name implies: Big. Ok, so how big is it? 3,500 acres to play on, a vertical drop of 3,100 feet, access to lift skiing at 11,053 feet, 156 trails and 28 chair lifts (9 of which are high-speed zappers). There are an average of 300 days of sunshine a year here. The Lincoln House and White Mountain Lodge are a village gondola ride away and offer luxury condos from studios to three bedrooms. 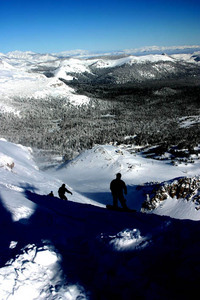 Full service hotels, convenient motels, luxury condominiums, quaint chalets, cozy cabins, and even dormitory style lodging are all located in the town of Mammoth Lakes, only 4 miles from the ski area. 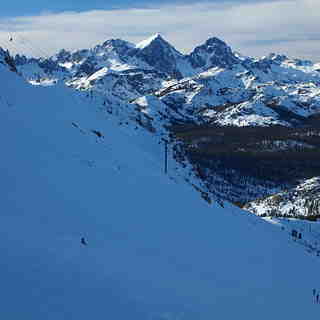 Mammoth is my "home" mountain. Ride there about 20+ days a year. Well, it is Mammoth as in huge. Not like Whistler or the Trois Valle in France, but it's a pretty massive ski resort. Something truly for everyone. Lots of beginner trails, tons of intermediate cruisers and enough challenging expert terrain to keep anyone busy for a week. Just a huge variety. The resort has multiple base lodges. Almost all the lodging is in and around the town. Only a small amount of lodging and dining by the Main lodge way up the hilll. 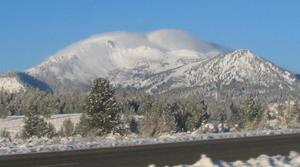 Gorgeous scenery, terrific ski school (for all levels) and skiing often into May or June. It's hard to get to: 5 hours at least from LA. The flights in are fickle due to crosswinds, but the drive through the desert is gorgeous. There are a number of small towns speckled throughout the desert which are fun to stop in and see. Old time West. Also, there is a sister resort 30 minutes (door to door) north of Mammoth called June which is not big but very fun. Never crowded except for at the weekend/holidays on the single lift from the bottom up to the lodge (Yes, up to the lodge). Food of every kind. Nice people. 90% of the people are from LA and San Diego on the weekends and holidays. I've lapped powder runs all day on a lonely Tuesday/Wednesday/Thursday. Go enjoy. Tons to do especially in the spring when the mountain is rocking and you can go hiking all over the Eastern Sierra (or golfing if you're into it). Plus Yosemite is an hour or so away. Lesen Sie 8 andere Beurteilungen ueber Mammoth Mountain oder geben Sie Ihre eigene Bewertung ab.